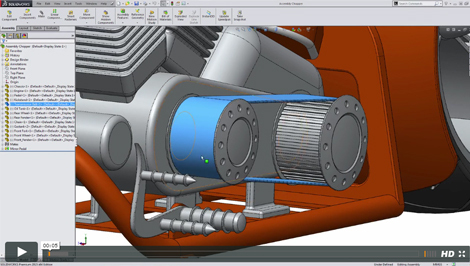 SolidWorks is a solid modeling computer-aided design and computer-aided engineering computer program that runs on Microsoft Windows. Learn how to make mood boards, ideation sketches and presentational sketches and rendering. 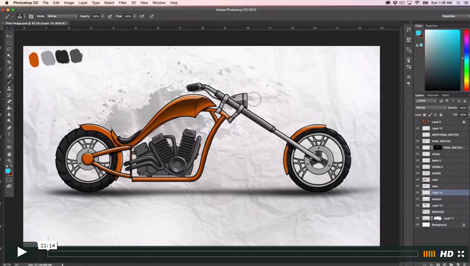 When you are ready, you will be all set to design your own chopper using Photoshop. It is recommended that you use a drawing tablet for the hand sketching videos. 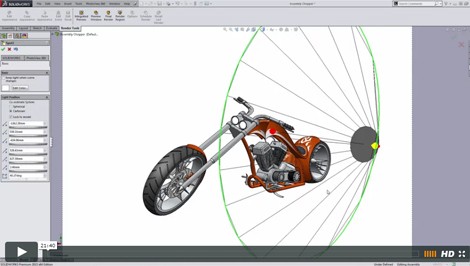 At the end of this course you will have the confidence to create any models that you want in SolidWorks. 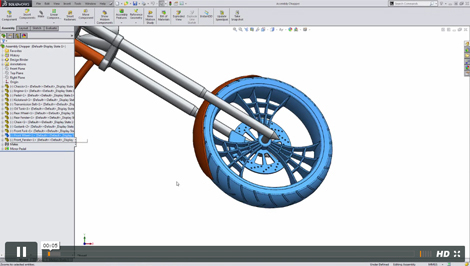 Whether you are a beginner or an individual with a decent amount of SolidWorks knowledge, this course you will give you the confidence to create any complex model in SolidWorks. 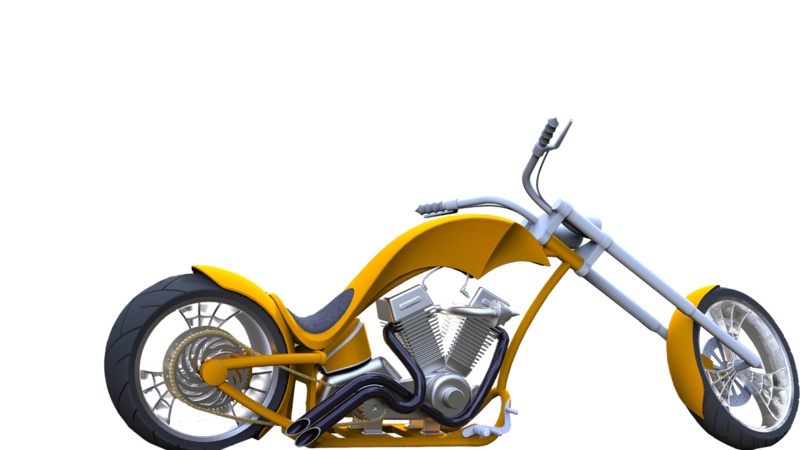 You will discover how to model an amazing chopper from start to finish. 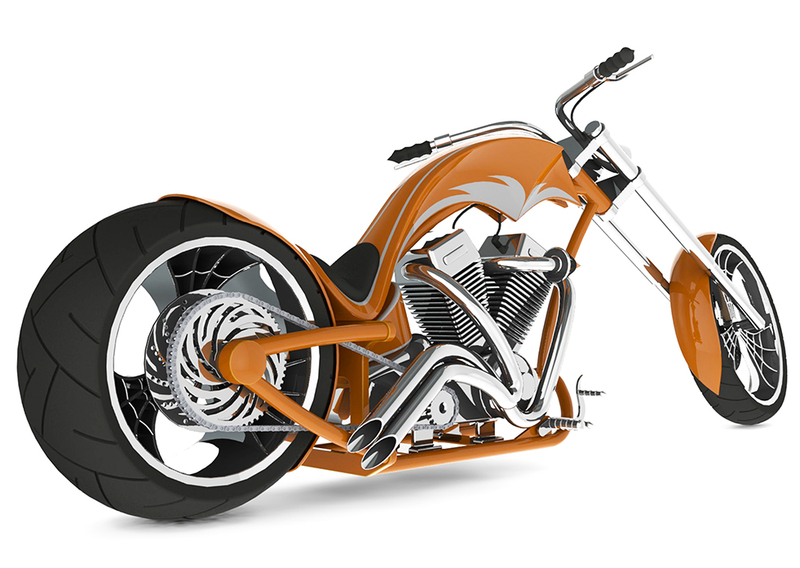 Now that you know to sketch the chopper using Adobe Photoshop, and how to model the Chopper in 3D using SolidWorks, all you need to learn is photorealistic rendering. 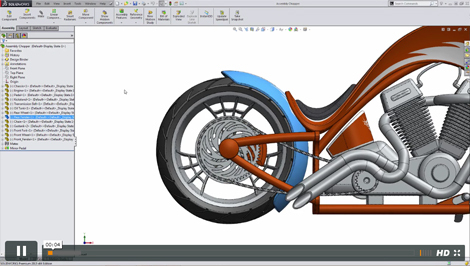 In this project, you will be able to sketch and build an entire Harley Davidson bike using Solidworks. In this first module you will discover how to make a professional mood board in Adobe Photoshop. You will learn how to import & blend images, add watermarks and change colors. This module will help you create a professional mood board using Photoshop. 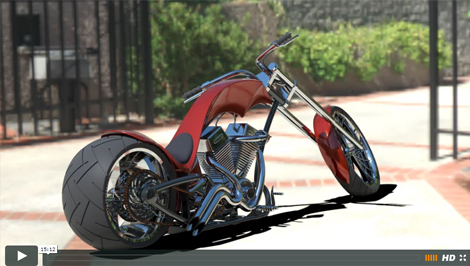 You will learn to sketch an American chopper and render the image in 3D. 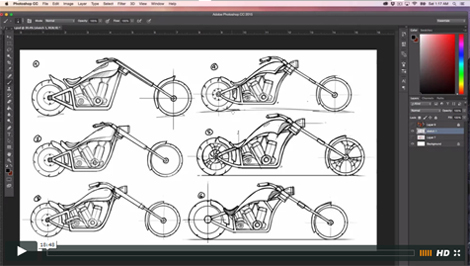 Now that we have our sketch for our American Chopper, it is time to start designing it. 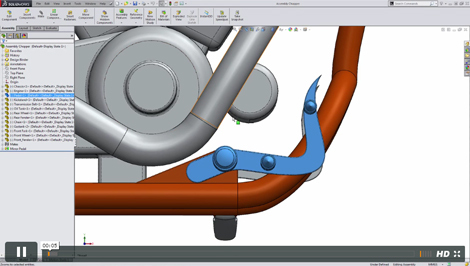 Before getting into a lot of details, in this module we will first take some time and familiarize ourselves with the user interface of Solidworks Pro and also learn how to customize important shortcuts. 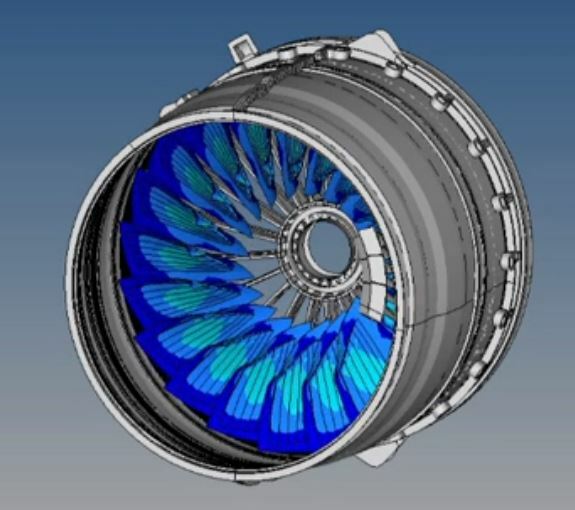 Students in SAE teams might find this course really helpful to convert their ideas into sketches and 3D models. Rendering them and showing photo realistic images will improve your sponsorship chances. This course is a must for students who want to pursue Design and modeling as a career. The projects and challenges you complete in this coursework will create you a profile that will crack any job interview. Professionals who want to build upon their existing SolidWorks skill sets and move forward to greater roles in the company. We do not provide the software for this course.